Science is such an intrinsic part of our everyday lives; we’ve stopped noticing the scientific miracles that occur around us. 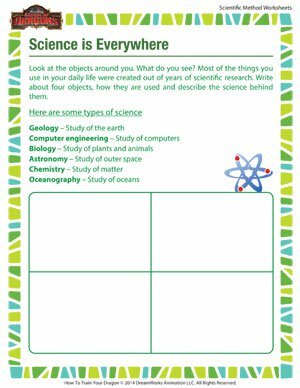 It’s time to introduce your child to the science behind everyday objects with this interesting scientific method worksheet for young children. The School of Dragons also has loads of other printable scientific method worksheets for all grades.